Earl Watson will coach the Suns for the remainder of the season. 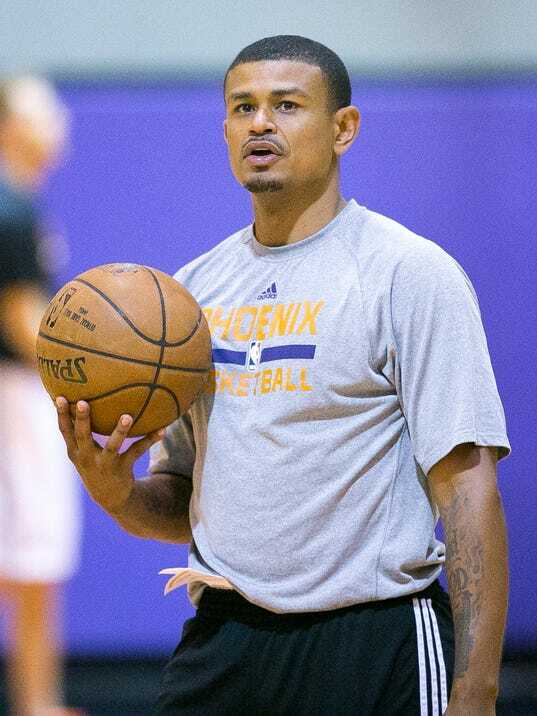 On Monday night, the Phoenix Suns announced that they’ve named assistant coach Earl Watson the team’s interim head coach. He’ll guide the Suns over the final 33 games of the season in what likely is a prolonged audition for the full-time role. Jeff Hornacek was fired by the team Monday. The 36-year-old Watson played for Hornacek (then an assistant coach) in Utah and then took a spot on his staff when Hornacek was named head coach in Phoenix. The becomes the second former journeyman NBA point guard to ascend to a head coaching spot in the past few weeks as Tyronn Lue was recently named head coach in Cleveland following the firing of David Blatt. Watson retired in 2014 after playing 14 years in the NBA with career averages of 6.4 points and 4.4 assists a game. He then spent one season as a D-League assistant coach for the San Antonio Spurs’ affiliate in Austin. This was is first year as an assistant coach with the Suns. What’s more interesting is that Watson was only a secondary assistant coach before Suns assistants Jerry Sichting and Mike Longabardi were fired on December 28th. This has unquestionably been a meteoric rise up the coaching ladder for Watson this year. Blazers Offseason: What Does It Mean?